Hi again guys! 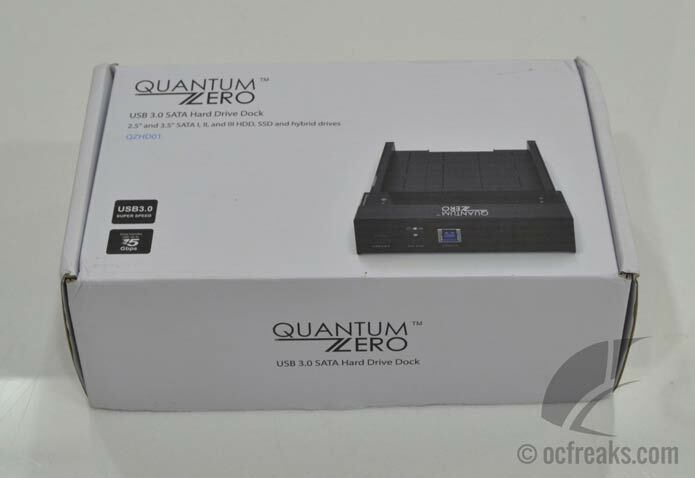 This time we will review QuantumZERO QZ-HD01 USB 3.0 SATA Hard Drive Dock. 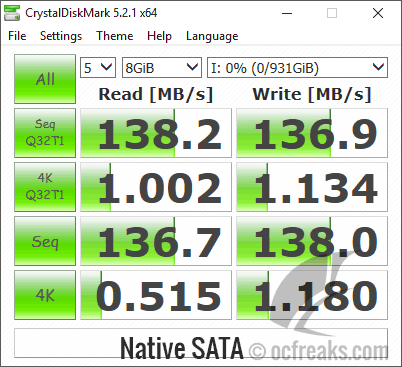 I had purchased it almost an year back since I wanted to backup data to offline HDDs and USB2.0 based adapters/converters didn’t gave good transfer speeds(obviously). 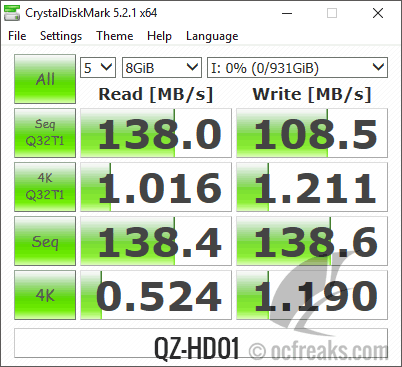 I am doing this review after using the QZ-HD01 Harddrive dock for than 7-8 months now. 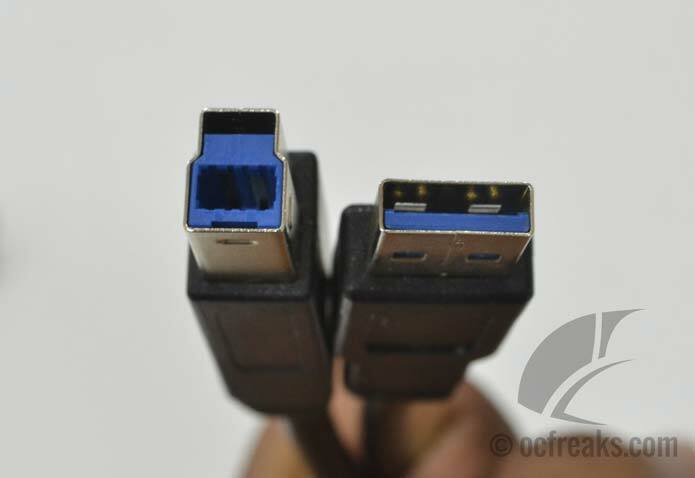 Some of you might know that QuantumZERO is a relatively new Indian Company into making USB related products. They offer quality solutions with good build quality. This USB3.0 HDD dock has driverless installation, meaning you need to just power-on the dock and attach the USB3.0 cable to your motherboard. 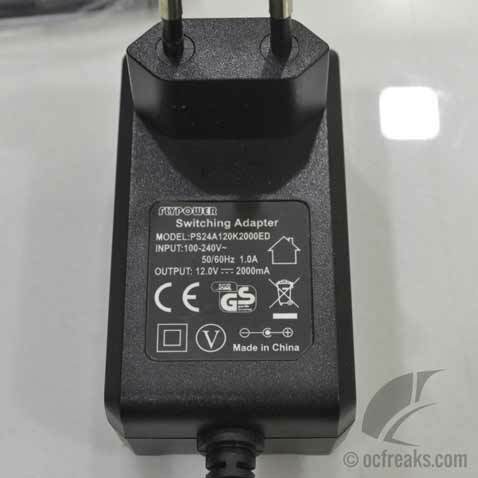 Its plug-n-play and supports hot swapping drives. 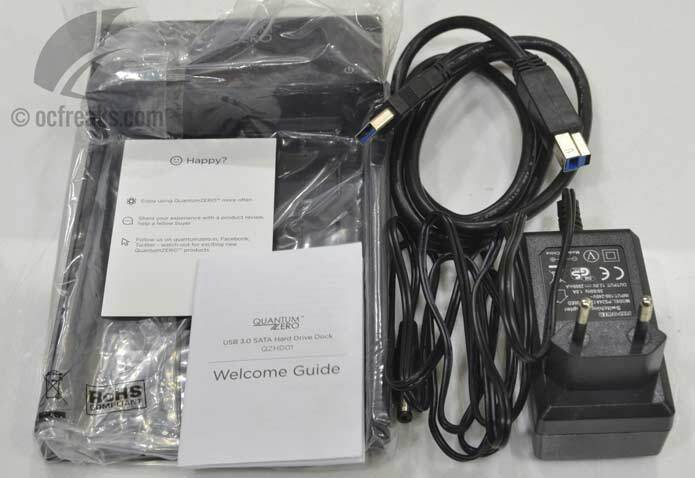 And yes, it is backwards compatible with USB2.0 and USB1.1, so no worries if your motherboard or laptop doesn’t support USB3.0. 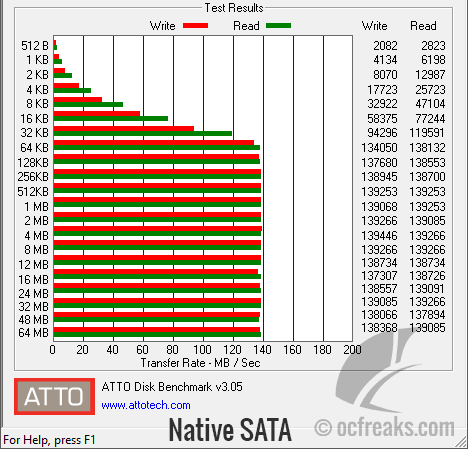 It supports SSDs, Hybrid Drives & HDDs upto 6TB in both 3.5″ and 2.5″ inch formfactors. 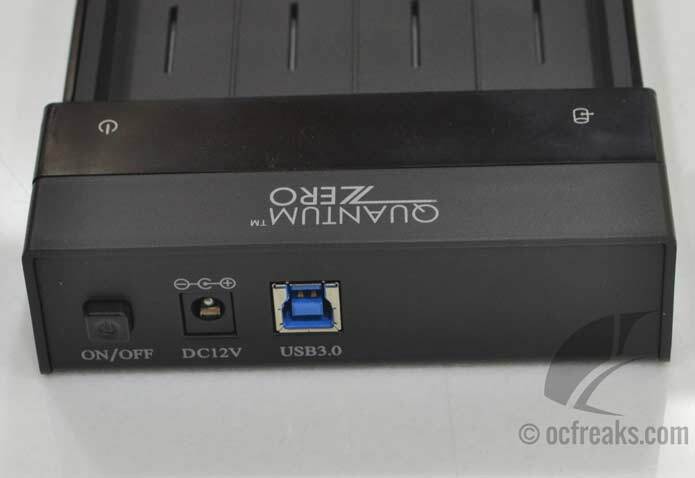 To achieve maximum transfer rates QZ-HD01 HDD dock also supports USB Attached SCSI Protocol i.e. UASP for short. But note that UASP requires the Operating System and Host Controller to support UASP. First lets go through the specifications. The overall build quality of the Dock is quite good. The plastic used seems to be ABS, but I may be wrong. The outer surface of the ‘bed’ has fine-grain matte texture – it looks similar to sandblasted powder coated finish. 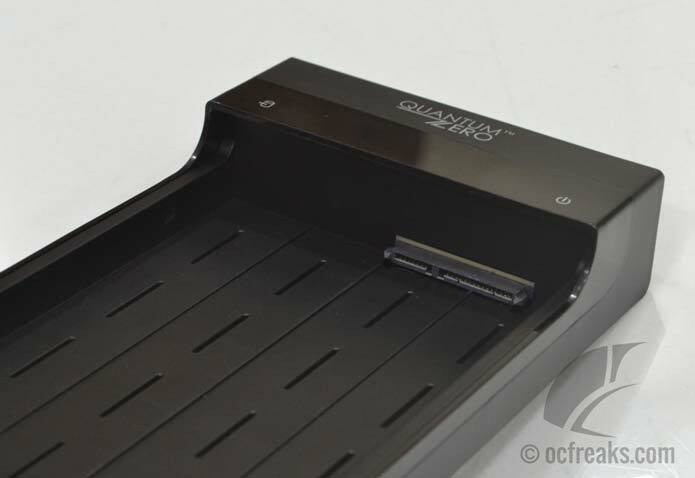 The plastic below the logo is translucent black with glossy finish under which Power and Data LEDs are present. 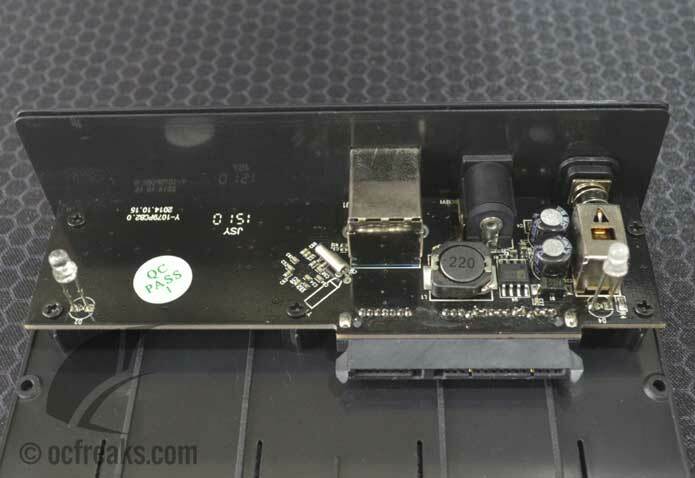 The drive fits snugly into the SATA connectors when sliding it along the drive bay. You just need to apply gentle pressure for the SATA connector to snap in. 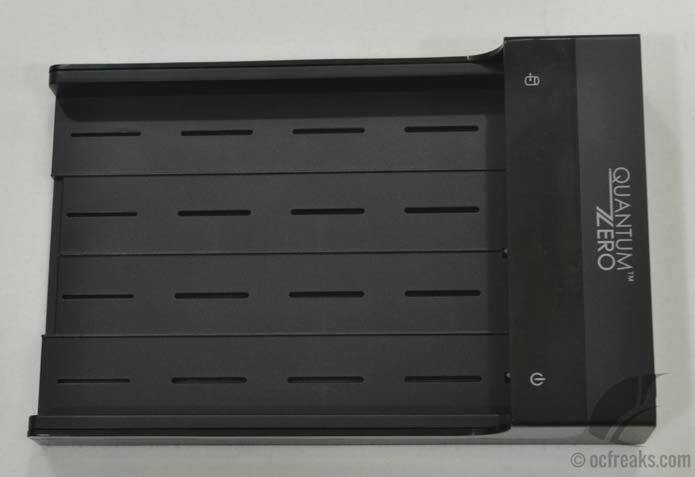 The newer version of the dock now comes with a lid which completely encloses the harddrive. The dock as a whole, could have been more sturdier. 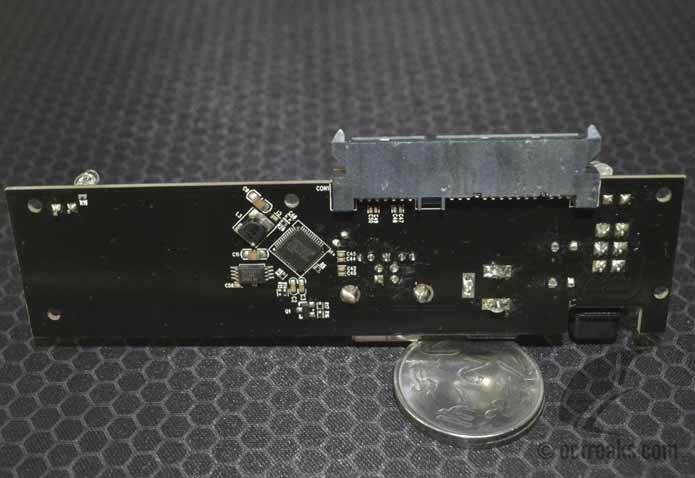 The PCB is secured to the dock using 5 screws. 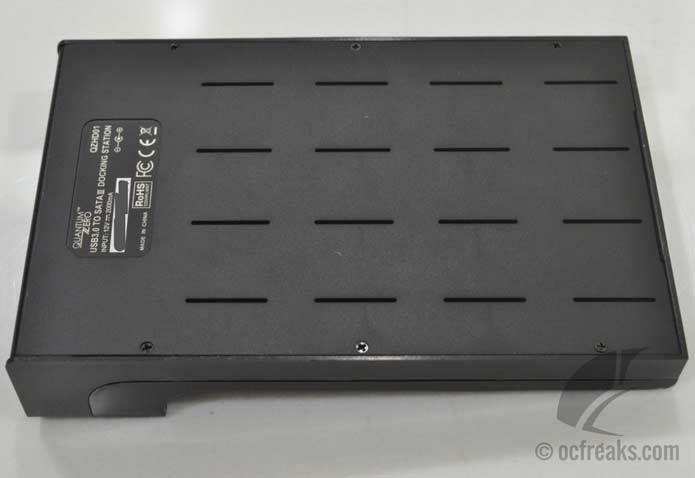 The top layer of the PCB consists of the power circuit along with Power Switch, DC input Jack, USB 3.0 Type B connector, Power and Data LEDs. The power circuit includes FP6115 switching buck convertor IC. Now lets see what we have at the bottom layer of the PCB. 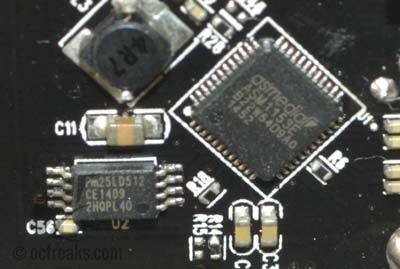 If not yet obvious, the first thing to note is that the Sata to USB Translator PCB incorporates ASMedia ASM1153E chipset. 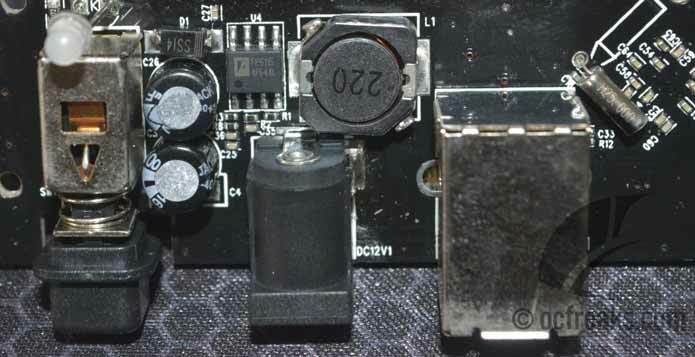 ASMedia is well known to Computer Enthusiasts and System builders since its controllers are commonly found on High-End Motherboards. Overall the PCB quality is good with some hand-soldered components. I couldn’t find any flaw with hand soldered components, all pads were covered up properly. 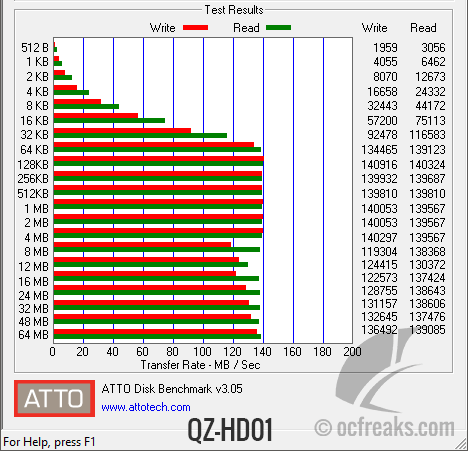 The tests were performed on Hitachi HDS72101 1TB 7200RPM Harddrive. After looking at all the aspects including Quality of construction, Features, Price and Performance I’ll give it a 4.25/5.